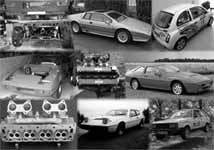 Lotusbits carry massive stocks of new and used Lotus Elite parts, Lotus Eclat parts, Lotus Excel parts, Lotus Esprit parts and Lotus Sunbeam parts. As genuine Lotus items become timeworn and obscure, Lotusbits continually increase their range of O.E. 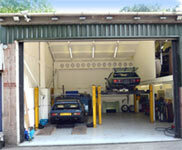 specification remanufactured obsolete Lotus parts and reconditioned Lotus spares. Visit Lotusbits blog regularly for the latest details of new and remanufactured Lotus parts for Lotus Eclat, Excel, Elite, Esprit and Lotus Sunbeam! Experts in 900 series Lotus engines, Lotusbits supply standard and performance engine parts for Lotus 907, 908, 910, 911 and 912 and Jensen Healey engines. (Worldwide shipping available on all items). Lotus engine performance upgrades: 220 bhp 2.2 ltr n/a, 260 bhp 2.5 ltr road usable. High performance Lotus competition engines available. Also Lotus big brake conversions, suspension kits, fuel injection conversions and Lotusbits' pair of Lotus Sunbeam rally cars and the banned Lotus Micra rally car. 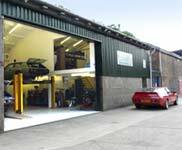 Lotusbits understand every aspect of running a classic Lotus and offer full workshop and bodyshop facilities covering restoration and modification.